Nations Press feature news Suspect revealed his reason of shooting 50 persons at gay club! Suspect revealed his reason of shooting 50 persons at gay club! 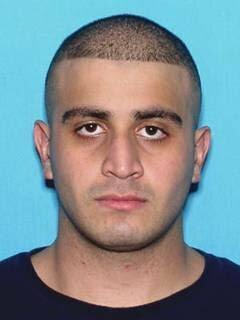 They were slaughtered near the end of a night out and the suspect has been named as Omar Mateen. Mir Seddique, Mateen’s father told NBC News, that his son saw two men kissing in Miami a couple of months ago and this angered him, adding that it had ‘nothing to do with religion’. Florida Department of Law Enforcement Special Agent in Charge Danny Banks said earlier that the mass shooting is being investigated as an act of terrorism. US president Barack Obama has said the nightclub shooting in Orlando was an ‘act of terror’ and an ‘act of hate’. ‘This massacre is therefore a further reminder of how easy it is for someone to get their hands on a weapon that lets them shoot people in a school, in a house of worship or in a movie theatre or in a nightclub. Police said the gunman started a shootout at 2am with a police officer who was on duty at the club before fleeing inside the club where he took hostages. At 5am the suspect was killed and he was found to have a suspicious device on him along with an assault rifle and a handgun.